Last Thursday I received a convo through my Etsy store site that someone nominated this design for a contest that is being held through the site called: Let's Talk Stationary. I'm not familiar with it but, will definitely mark it as a favorite. It is a stationery designer's resource site that offers a bunch of great perks. I am completely honored that not only did someone really like the design but, took the time to nominate it. So to whom did this - THANK YOU!!! I think I'm blushing here. I'm also excited to let you know that I've added two new items to the store and have a few others up my sleeve. 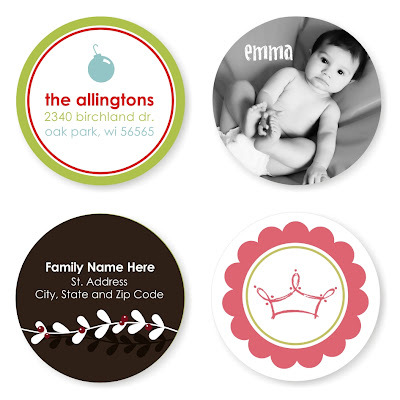 The first is that I'm now offering 2" round sticker labels. I thought this would be a great item to introduce before the holidays. 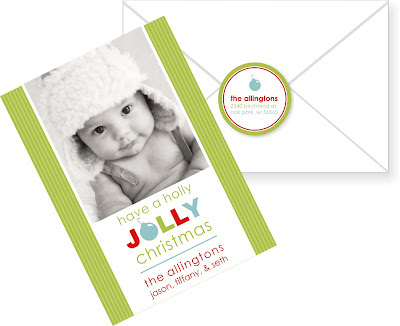 Perfect for address labels for mailing out those Christmas cards. They can be coordinating to a design that already exists in my store but, I am open to the idea of custom stickers as well. Please convo or email me first since there would be a small design fee included in the price. The second item is mailing envelope wraps. These are actually a DIY item. I'm offering them as a PDF to match any of my designs. They measure 1.5" h x 8" w and will come 5 per page. All you have to do is print them on sticker paper, cut and wrap. They can also be printed on printing paper, cut and glued/taped on. I'm also open for these to be a custom design. 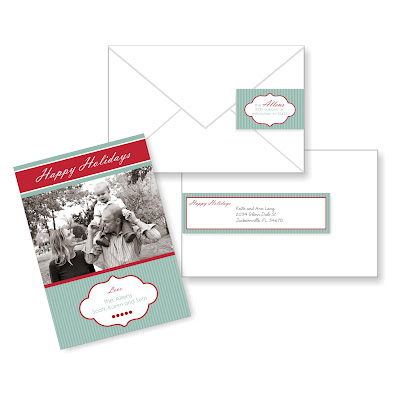 They definitely can jazz up a plain'o boring envelope.